Asia boasts some of the most prolific collectors of art in the world, many of them with a philanthropic bent, endowing public and private institutions to help make art available to all. These cultural ambassadors tend to keep a low profile, but these bios will help you identify the movers and shakers next time you attend an important exhibition, art fair or auction. 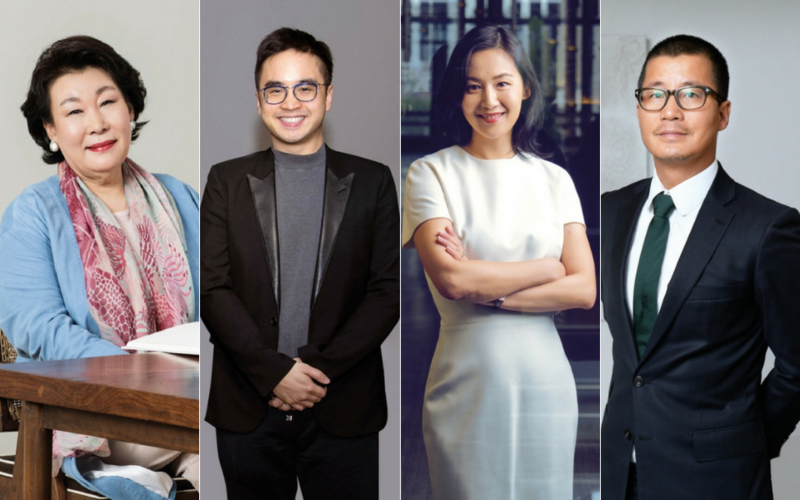 This list was compiled by Asia Tatler's editors across the region including China, Hong Kong, Taiwan, Singapore, Malaysia, Phillippines, Indonesia and Thailand. Why him? One or two managing partners at Navis Capital, Nicholas is a keen collector and particularly fond of works he owns by Andy Warhol and Malaysian artist Ivan Lam. What's next? He’d love to own a work by Peter Doig or Gerhard Richter. Why them? As director of Art Stage Singapore, which he founded with his wife, Maria Elena, Lorenzo knows exactly how to seduce collectors because he is a collector himself and owns more than 100 works of contemporary art. The couple have filled their homes in Lugano, Switzerland, and Singapore with works of art. In Switzerland, their collection focuses mainly on contemporary photography and includes prints by Richard Long and Anton Corbijn. In Singapore, their home is filled with installations by emerging artists, such as Aditya Novali and Zen Teh. First love: Lorenzo fell for a drawing by Jean Tinguely. Why him? Advertising maestro Alvin is obsessed with Peranakan culture, the traditions and art of the descendants of Chinese immigrants to the Malay archipelago. He now owns more than 5,000 individual pieces of Peranakan art.